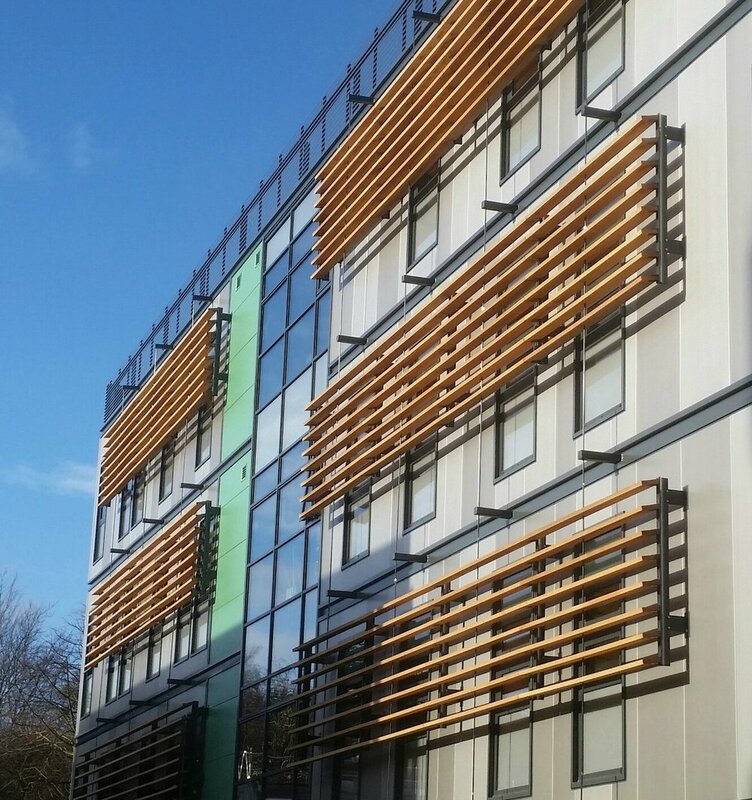 Extraspace Solutions were awarded a contract to design and build a new 4 storey accommodation block at the University of Edinburgh, Kings Building Campus. The new addition to the Kings Building Campus was named ‘The Mary Brück Building’ and serves as a mixed use facility on the Campus. The various areas consist of ground floor café and social area, group and individual study areas, open study areas to accommodate up to 120 persons, individual study rooms, engineering study facilities, administration facilities, research facilities, common rooms and meeting rooms. Toilet and shower facilities are also available on each floor, as well as prayer rooms and kitchen facilities. The building is serviced by 3 separate staircases and a passenger lift to all floors. These staircases and lift shaft have full 60 minute fire protection and include firefighting lobbies to protect the Fire Services. Externally, the Building is clad in a blend of coloured Kingspan mini rib panels, which integrate with the windows and curtain walling, to offer an interesting architectural design. The Brise Soleil to the front elevation is of cedar panel and offers both predesigned shading and an interesting architectural feature. Internally, floor to floor heights of 4.0m offer the opportunity to vary the ceilings, from suspended ceilings at 2.8m high, to fixed ceilings with exposed services of 3.2m high. In the latter application, acoustic boards below the services were used to enhance the acoustic performance in this area. Being an Engineering Department Building, the College were keen to show some services below the ceiling to inform the Student population. 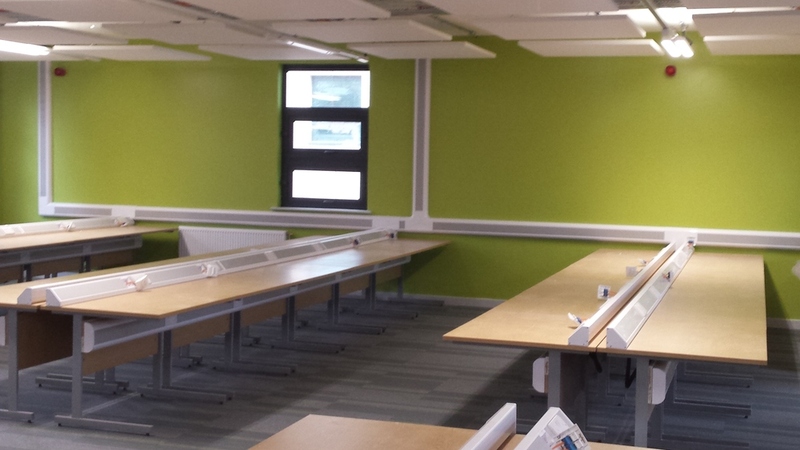 The range of uses over the four floors and 650m2 of the Building means that there are multiple finishes employed to all surfaces, to cater for study, catering, office and bathroom facilities, incorporating full wet room facilities. The Building has an advanced Building Information Management System, which is integrated into the overall Campus Management System. The Building employs advanced lighting systems, which are motion sensitive, gas heating systems and natural ventilation via the powder coated aluminium windows. The similarity between the original 3D Models and the finished product demonstrates Extraspace Solutions ability to produce to our Client’s exacting Standards.